Cold Suspenders is set in the near future. Morton Elise and his companion Katei Cooksie battle to save the UK from evil. A tale of espionage, global warming, computer hacking and suspense. There is also a touch of romance. Cold Suspenders is a paperback (and Kindle) book by Alvin Finch. It is written as a suspense thriller. It borders on science fiction, but is more about today's surveillance society. It explores ID cards, and the remote control of transport. It covers some of the terrorisim threats recently higlighted by the government and reported in the news media. e.g. "We will need to increase co-operation against common global threats such as climate change, terrorism and cyber crime. The latter will become a more serious problem with the growth of The Internet of Things and together we need to fight this." 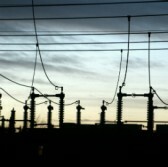 Mordor Intelligence says that the global critical infrastructure protection market will grow at an 8.5-percent, following developments in smart grid technology, cloud computing and critical infrastructure technology amid the potential impact of cyber attacks or system failures on such assets. 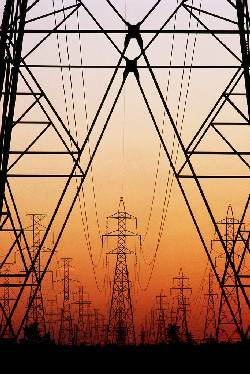 Critical infrastructure in the oil and gas, electricity, agriculture, telecommunications, financial services and other sectors could have serious consequence to the economy, the report noted. We hope you find it a jolly good read! INTERPOL say that criminal organizations turning increasingly to the Internet to facilitate their activities and maximize their profit in the shortest time. The crimes themselves are not necessarily new - such as theft, fraud, illegal gambling, sale of fake medicines - but they are evolving in line with the opportunities presented online and therefore becoming more widespread and damaging. Cold Suspenders touches on Cyberterrorism, but to say too much here might give some part of the story away.